This is a hands on, informal Japanese cooking class. 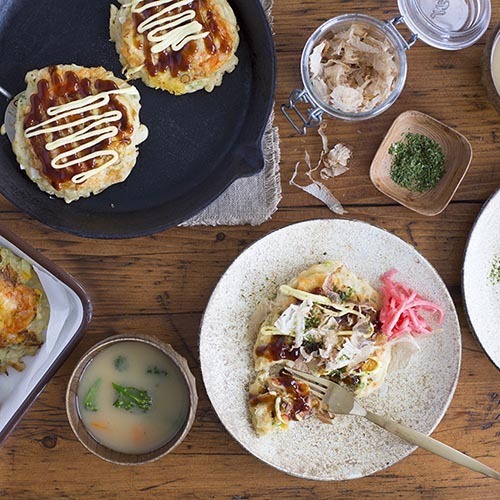 You will learn how to make Okonomiyaki (most popular Japanese street food) from scratch, and also learn how to make homemade dashi stock and delicious pork and ginger soup! We start by introducing the ingredients, then have a cooking session, and finally we eat what we have made! Please let us know if you have any dietary requirements in advance.